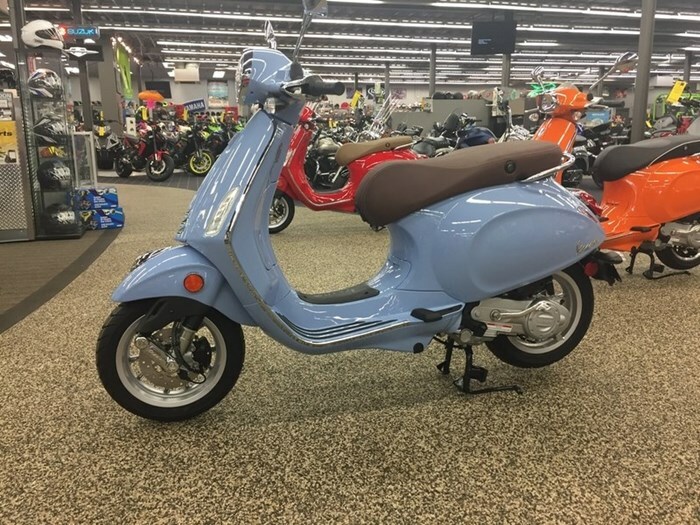 2018 Vespa Primavera 50 Distinctive for its modern streamlined look, the Vespa Primavera features key elements that echo the exclusive style of the Vespa 946. Highlights include the new frame and innovative features for enhanced quality, including increased space between the handlebars and seat, and a low saddle height that allows for easier access to the ground, ensuring greater comfort for rider and passenger. 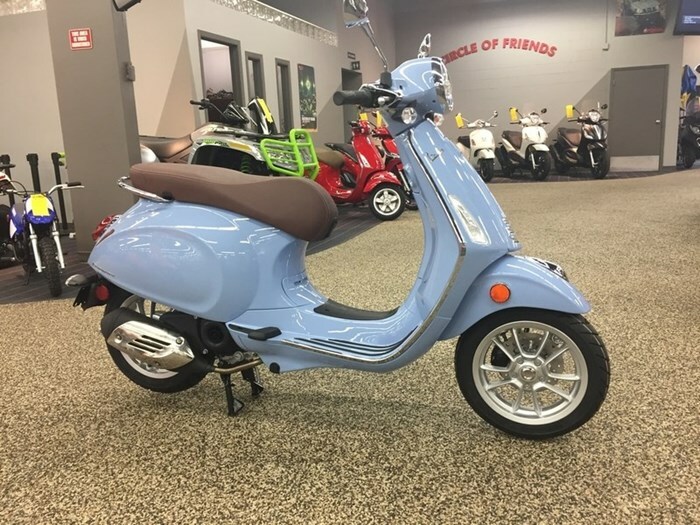 The longer wheelbase and overall length boosts stability while maintaining the agility typical of every Vespa. Further highlights include front LED daytime running lights, a new digital instrument panel, and a compartment beneath the seat that easily accommodates a 3/4 helmet. Both engines, the 50cc 4-stroke 4V and the 150cc 4-stroke 3V with electronic injection were designed for improved fuel consumption and reduced emissions.